Testo Muscle Review - (Learn the truth) Does It Really Work? 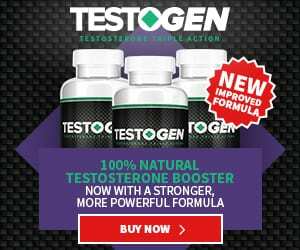 Should you buy Testo Muscle? Testo Muscle is a muscle support formula that is marketed as a 4-in-1 solution. As per the company, the product targets four different aspects of the body. It increases the growth of lean muscles, elevates energy levels, enhances metabolism, and increases stamina. The combination of these four benefits should improve the user’s workout productivity, helping them to get bigger and stronger. You must maintain a proper diet routine and engage in high-intensity training protocols. The major ingredients in this supplement include boron, zinc, magnesium, vitamin D3, and D-aspartic acid. Minerals like zinc, boron, and magnesium can provide a range of benefits. Zinc and magnesium are well-known minerals when it comes to boosting testosterone levels. Boron helps increase the count of “free testosterone” in the body. Vitamin D3 is another crucial ingredient in this supplement. Along with boosting testosterone production, this supplement also helps to elevate energy levels and promote a healthy immune system. D-aspartic acid is an amino acid that can aid in testosterone production, muscle growth, and the improvement of stamina. The collective benefits of these ingredients allow you to endure intense workouts for more extended periods of time. The increase in the testosterone hormone should enhance and improve sexual functions. The company claims the supplement has been manufactured with natural ingredients. This should lower the risk of potential side effects. The company offers a 10-day trial period with the supplement. This lets you test the product and measure its benefits before you make a full purchase. There’s a chance the trial period isn’t going to be enough, depending on how long it takes for the product to deliver. There is no official website or any mention of the manufacturer anywhere. We couldn’t find legitimate user reviews on this product. Also, there is no mention of any clinical evidence that can validate the manufacturer’s claims. Testo Muscle is a testosterone boosting supplement that can provide a range of benefits, at least on paper. While we do want to say good things about the product, there are too many uncertainties surrounding it. Our primary concern is the legitimacy of the company. There are plenty of similar supplements on the market. Make sure you purchase a product that comes from a branded company to avoid being scammed.